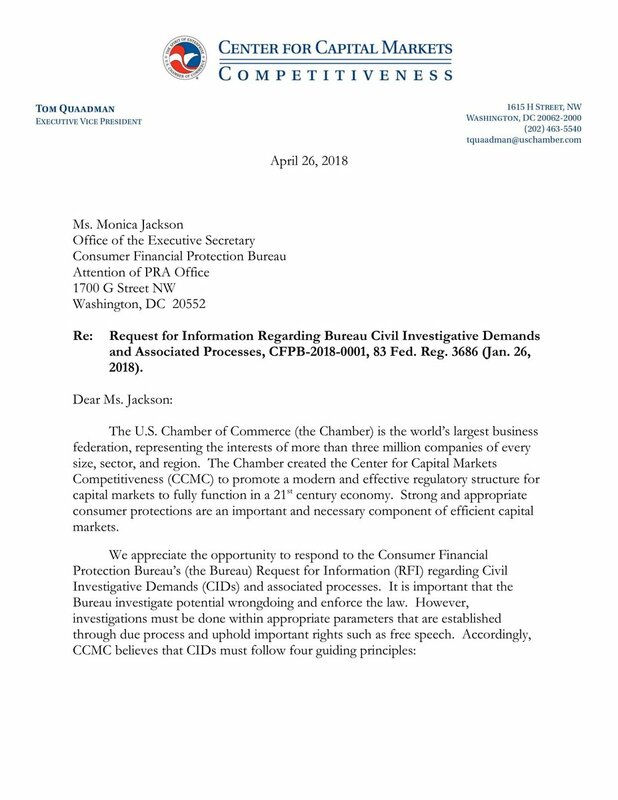 The U.S. Chamber of Commerce’s Center for Capital Markets Competitiveness (CCMC) today released Essential Information: Modernizing Our Corporate Disclosure System, a white paper exploring the future of corporate disclosures and why materiality is, and should remain, the guiding principle for public company disclosure. The report, released today at an event of the same name, focuses on corporate disclosure modernization, provides a history of materiality, explains why it matters, and covers topics including why the SEC should steer clear of special interest disclosures; why policymakers should be wary of information overload and should be sensitive to lack of investor interest; and how ineffective disclosure harms the competitiveness of our nation’s capital markets; among other topics. CCMC has consistently called on the SEC to adopt a comprehensive approach to modernizing financial reporting policies. You can find CCMC’s recommendations for modernizing our corporate disclosure system in Restarting the Growth Engine: A Plan to Reform America’s Capital Markets. You can find a full copy of Essential Information: Modernizing Our Corporate Disclosure System here.